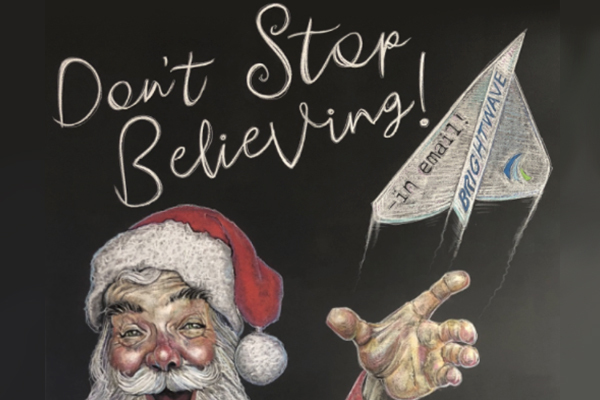 To create this year’s artful holiday email, we first had to hire an incredibly talented Atlanta-based chalk artist to do his thing on our office’s chalkboard walls. Just before December, local designer/illustrator Josh Jameson paid us a visit and sketched out some incredible new murals. In the end, we had an excellent graphic for our all-important holiday email as well as some fun messages to enjoy every day at the office. Finally, armed with photos and videos taken during the drawing process, we were ready to digitize the chalk art experience. We decided to make a simple script gif for the main headline to add visual interest above the fold. The real showstopper, however, was the special roll-over gif for our “behind the scenes” secondary section. This section looks like a regular photo until the user mouses over the image to magically bring it to life. We created the animated hover state by combining multiple video clips into one gif. By splicing together shots from different phases of the drawing process, we achieved an eye-catching stop-motion look. What made this design particularly challenging was getting multiple interactive elements (the headline and the behind-the-scenes gif) to look cohesive, so it didn’t feel like there was too much movement happening. Adding a hover or “roll-over” effect was the perfect solution. 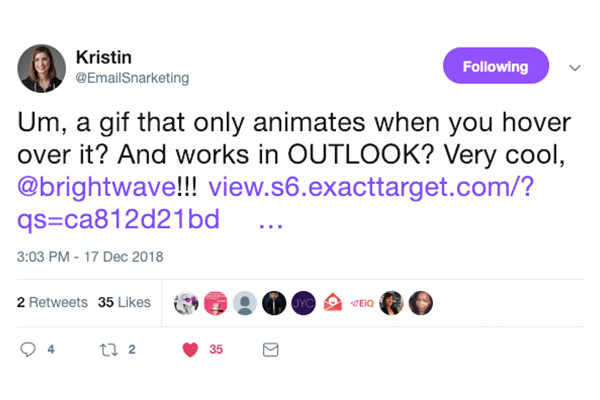 But Did It Wow the Email World? 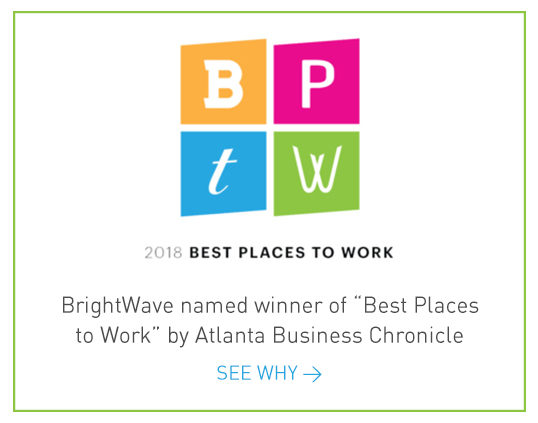 Thank for the kudos, y’all! 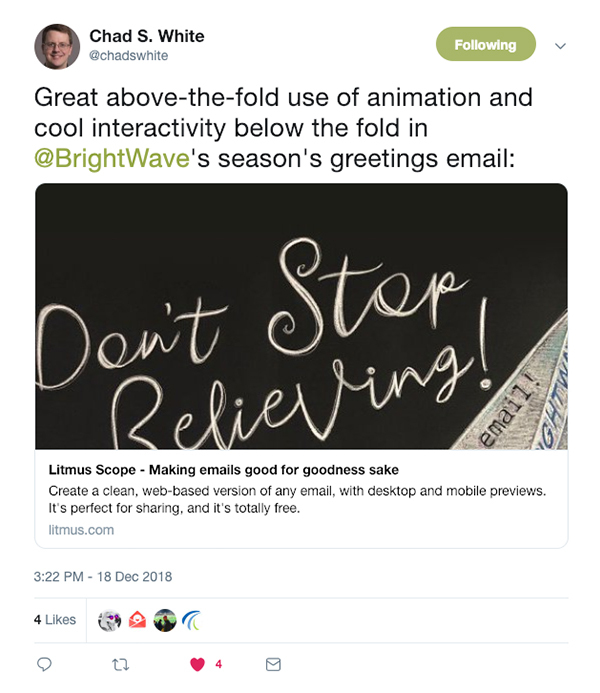 Now that 2019 has officially begun, we can’t wait to see how other brands are integrating engaging design features like these (and much, much more) at EiQ this March.